Some credit cards are basic in their offerings, looking as mundane as the card sitting next to them, but not the ZYNC from American Express. This credit card allows you to place your personality into the card. You get to choose which lifestyle pack will suit your life with this secured credit card. Are you always on the go? If so you might discover the Go Pack for the ZYNC American Express is going to fit you the best. You get to earn 2x the rewards points on airfare of the other cards. You also have an annual membership to the credit card registry at a $29 value. The feature provides a way to cancel and replace any lost or stolen cards with one call. There is also an emergency passport replacement assistance tied to the account. Avis and Budget have thrown in a deal with savings of up to 25 percent. Hertz provides 20 percent savings plus GPS for 2 days free with a rental. For those on the go a $50 credit is offered for vacation packages, though this is a limited time offer. The Social Pack is a whole different animal with 2x membership rewards on restaurants and any events purchases you make. You also obtain access to event tickets before they hit the public sphere. Is staying connected a must for you? Why not save a little with the ZYNC American Express Connect Pack? This package offers rewards points on mobile and cable services such as internet, cell phone use and more. You can also use less points if you shop at the member reward site exclusive to American Express holders. Environmental savings are definitely worth every penny to make less of a footprint on the earth. Why not make your credit card work for the earth with the Eco Pack. You get rewards points when you buy green merchandise from certain green merchants. You also use fewer points on the American Express rewards site. With green living tips and gifts this pack is certainly for anyone who loves the environment. The Eco Pack has one more interesting feature in that it will purchase $1 of carbon offsets from TerraPass, which helps to reduce the carbon emissions of dairy farms and landfills in the US. Eco Pack is the only card without an annual fee. All others are $20 for each year. The basic card is $25, so there is even more savings with the ZYNC. 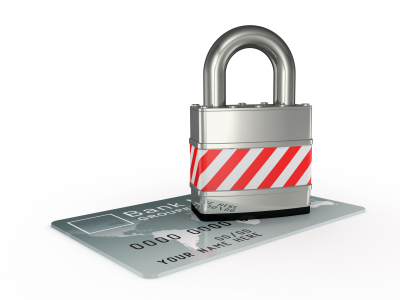 You will not pay interest when you pay in full each month, and you have purchase protection. A card that offers your personality to bank rewards for you is what American Express has created. The hitch in obtaining this card is American Express’ strict guidelines. American Express is a card for people who are responsible with credit and their credit history. The company offers their ZYNC, basic, business credit cards, and even student credit cards to those who have the high credit scores.